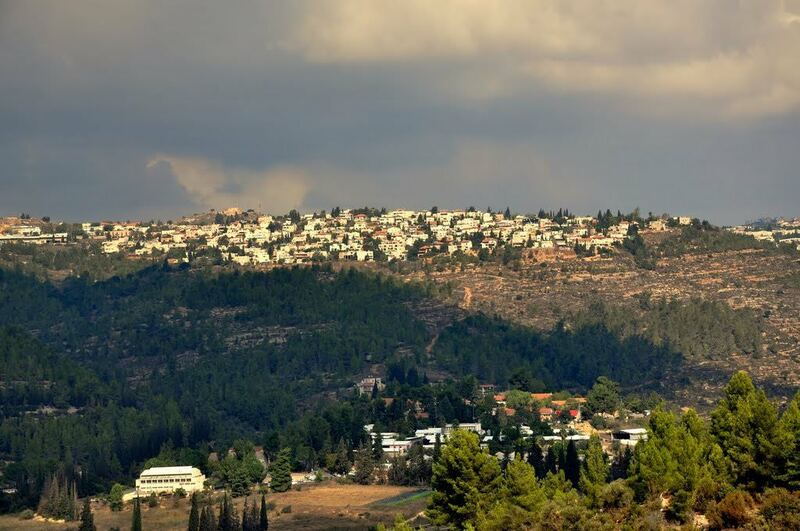 The official name of this community is Kiryat Yearim. It was founded in the late 1960’s by a group of students and teachers from Yeshivat Telz in America. Irving Stone financially joined this endeavor, thus its more common name of Telz-Stone. The Sorotzkin family was one of the leading founding families, and continues to be so to this day. There are many Avreichim as well as men and women who work, primarily in Jerusalem. Telz-Stone has 6 Ganim, 1 Bais Yaakov for girls (through 8th grade), and two Chadarim for boys (through 8th grade). There are two Ganei Safa – one for boys and one for girls. These Ganim are for children who have special education needs. After elementary school all girls attend schools outside of Telz-Stone; mainly in Jerusalem or Ramat Beit Shemesh. There is one Yeshiva Ketana for the boys to continue learning in the community. There is a special after school learning program for boys. Children with special needs receive their education in Jerusalem. There is a peer mentoring program amongst the girls, where older girls will mentor and be a role model for younger girls. Keser Dovid, Yishrei Lev and Neve Tzion are post high school yeshivas for English speaking boys from abroad. All are located in Telz Stone and there are several Israeli post high school yeshivas as well. As a matter of social norm, people in the community generally do not have televisions in their homes. While there are no organized sports activities in Telz-Stone, children typically enjoy riding their bikes and playing soccer and there are various children’s recreation activities offered throughout Telz-Stone such as music lessons, martial arts, swimming lessons, woodworking, baking, etc. Superbus leaves every 15-30 minutes for Jerusalem. Travel time from Telz-Stone to the entrance of Jerusalem is 15 minutes. You can get free transfers for local buses in Jerusalem. There is a bus once a day to both Ramat Beit Shemesh and Bnai Brak. The Telz-Stone cab company charges 60 NIS to the entrance of Jerusalem. Service runs in both directions. There is an Anglo email group that is open to residents of Telz-Stone. Ulpan is sometimes offered, but it is not consistent. Most Olim go to Jerusalem for government services, although it is possible to deal with Misrad Hapnim (passports, Teudot Zehut, birth certificates, etc.) in Telz-Stone’s local municipal services building (the Moatza). There is a Maccabi clinic and a large, full service Meuchedet clinic (as well as a Meuchedet pharmacy). The family doctors in both Kupot are native English speakers. There is a Tipat Chalav clinic. A center for speech therapy and occupational therapy for children called Avnei Derech services all Kupot. The nearest hospitals are Hadassah Ein Kerem and Shaarei Tzedek – both around a 20 minute drive away. There is a child well care center called Avnei Derech which serves members from all Kupot Cholim. There is a “Beit Hachlama”- post partum resting facility for moms that services the greater Jerusalem area. The community has a separate game room for kids to play in at a reduced family rate. There are also stained glass workshops offered by the professional studio located in the community. An English library has a small, but up to date collection of books for the English speaking residents. The medical building houses a dental clinic and a young children’s care center. There are lots of small shops and services run from private homes, like hairdressers, barbers, clothing shops, baking supplies, paper goods, seamstresses, sofrim, dry cleaning, etc. There are presently 2 makolets, including one with an on-premises ice cream store, a burger restaurant, and several options for both falafel and pizza takeaway. Many families hold their simchas in the hall of the Masmidim building. There is also a gym in the Masmidim building. While Telz-Stone is pretty much exclusively Chareidi, it is by no means homogeneous. Rather, its population spreads across the entire Chareidi spectrum. There are many “American style” and more mainstream Israeli Litvish and Sefardi Chareidim living in harmony with one another. There are also small communities of both Brelov and Ashlag Chassidim. There is a center for retirees which offers educational classes, exercise groups, outings, speakers and a meal on Rosh Chodesh. It interesting to note that while Telz-Stone remains a fairly insular community, it is bordered on one side by the Arab community of Abu-Gosh, and on the other side by the secular Yishuv of Neve Ilan. There is an offical Va’adat Kabala (acceptance committee) that must approve new residents. While this is the official policy for all parts of Telz-Stone, it is generally not enforced in the “up the hill” neighborhood. There are several Anglo shuls throughout the community. There is a general difficulty finding rentals in the community. “Up the Hill” is more Anglo, with more private homes and semi-detached homes. There is a large South African population, as well as many American, Canadian and French families. “Down the Hill” is more mixed between the native Israeli and Anglo populations, and housing is more affordable. Achuzat Yearim is a newer section on Telz-Stone’s lower border that is currently being developed and is typically made up of Avreichim/Kollel families.